To identify the danger are, look at your home from a toddler’s point of view. 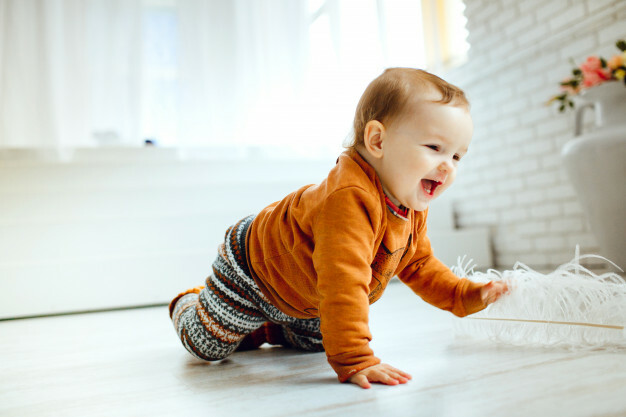 Angular corners, sharp-edged furniture, low lying electrical sockets, slippery floors, and even poisonous cleaning products within their reach, can pose serious baby hazards. Any place where a baby can get hurt is a potential danger zone that needs to be childproofed. The first step towards childproofing is to remove or cover everything sharp, pointed, and heavy from the child’s path. – Have non-slippery mats outside the bathroom and next to the bathtubs to ensure they do not slip. Never leave your child unattended during a bath. – Toilet lids should be locked to prevent children from tipping over or slamming it on their hands or heads. – Cabinets, if any, should be locked as these largely are used for storing medicines, soaps and shampoos, which can pose danger if consumed out of curiosity. – All electric outlets/sockets should be covered with proofing gadgets to prevent accidental electrocution. Children tend to put their fingers in the electrical sockets. – Children should not be allowed on balconies and terraces alone. They should always be accompanied by a responsible adult. – The balconies should have grilles, barricades, and protective railings, and designed in a manner that there is minimal space between the bars of the grille, enough to prevent a mishap. – Kitchen cabinets should have locks to keep sharp objects like knives and scissors away from children’s reach. – Installing stops in drawers will stop toddlers from bring them out on themselves. – Install stove knobs that come with in-built locking mechanisms, so that even if the child can reach the stove, they are unable to operate it. – Keep the fridge and microwave locked when not in use. – Use a retractable electrical cable for coffee makers, toasters and microwaves so that children cannot pull the cords. – Children spend a lot of time in these rooms. Have a minimal decor until child grows up a little. Too many artifacts, breakable or heavy, and sharp-edged furniture can be a cause of injury to children. – Get stoppers installed on all the doors, prohibiting baby’s fingers from getting pinched. – Keyholes on the doors should preferably be double-sided and child-friendly to prevent a child from being accidentally locked inside the home. – Electrical covers should be placed on unused sockets. Switches and regulators should be installed out of the reach of small hands. – Place corner bumpers on all sharp edges to prevent bumps on the head. – If you have a staircase, fix a baby gate on the top and bottom of it. Ensure that the adults can easily reach out for the disinfectant and sanitising sprays. It is also important to keep a basket which can be used to hold all of baby’s belongings. This will help you to easily find things. This will also make you more efficient while doing a full clean up. Ceiling fans, blinds and chandeliers could be the major dust receptacles and should be treated before unpacking the boxes. Doing this will prevent the floating dust from settling on your favorite furniture and accessories. To ensure an effective cleaning process, first dry mop the blades and blinds, followed by slightly wet mop. Pest control is one thing you should certainly undertake after moving into a new apartment. From bed bugs, termite to bees and wasps and cockroaches, there are several types of pests that attack your home every season and can damage not only your favorite furniture but also take a toll on your family’s health. Thus, it is important to ensure timely measures to exterminate pest and the best time is to get it done right after moving into the new place as it will be easier to do the needful in an empty space than a house full of furniture. This becomes utmost necessary, particularly, when you are moving into a rental property. Areas such as toilet seats, tubs, sinks, doors, and windows, all these areas are major sources of germs and require deep cleaning. Probably wielding a can of disinfectant would suffice. Some of the common known disinfectants are baking soda, tea tree oil and hydrogen peroxide. Scouring floor with furniture around could be a painful task. Thus, deep clean the floor while they are still clean. Not only will it be hassle-free but would also save a lot of time and energy which otherwise might get wasted in shifting the furniture and accessories. Any repair (broken tile) should also be considered at this time as it will be much easier to fix them immediately after shifting. If buying your dream home is at the top of your wish list, there should be certain factors that you must keep in mind before the final plunge. Buying a home is everyone’s dream. It is a long-term commitment and a lifetime of savings that goes into purchasing a house. 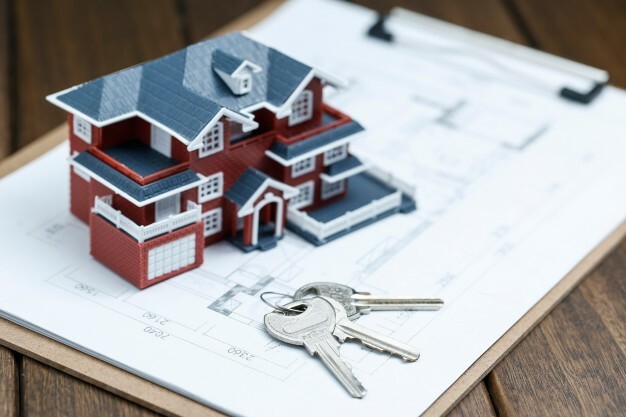 Thus, the decisions you make in the home-buying process can make a big difference between a home that is a blessing to your family for years to come and a home that becomes a financial burden. Altogether, a Pros and cons of buying a property near the Airport home purchase should not become a stressful, and draining experience. Rather, it should be a lot of fun. 1. Credibility of the developer: developer’s financial and project card report is crucial. Most information about the developer can be obtained online on their website which comprises complete information pertinent to their ongoing and past projects. This can go a long way in ascertaining developer’s market reputation and also help understand their product portfolio. Research and ground work can help in choosing your dream home. What is the travel time to work and back? What about the infrastructure in that area? Is there a regular supply of water and electricity? Is there sufficient public transport? How many hospitals are there in the area? If you have a vehicle, does it have ample parking space? What about open spaces if your building is in a township or a complex? What about the available amenities? Also, do check on the social infrastructure like malls, multiplexes, restaurants in the vicinity of the project. 3. Security: If you are staying with family, then this factor takes precedence. Most home buyers consider this as a very important factor. No one would like to buy a property that is situated in a crime zone. Some properties also offer CCTV security monitoring to prevent any serious incidences. 4. Are you financially ready to buy a house: Buying a home is probably the biggest purchase you will ever make. Are you sure that you are ready? Answering these two questions will help you know. Be a well-informed buyer prior to investing or buying a home either for yourself or your family. Information is always readily available provided you know where to look. Here are some suggestions for young homebuyers before taking the plunge. Know your rights: Today, Real Estate Regulatory Act (RERA) aims to bring in transparency and protect the interest of consumers. When searching for homes online or offline, it is important to see if the project is RERA-registered or not. Most developers will highlight their respective RERA numbers on their projects. These numbers will correspond against the state the project is based on. For example., properties in Maharashtra state are prefixed with “MahaRERA” followed by the number. A RERA registered project gives you the security against delayed projects and other fraudulent practices from the developers. Maintain your credit score: This is the first thing any financial institution will check when applying for home loan. Hence, it is important to maintain your credit score. Make sure you pay your credit card bills and other loans on time. This will instil banks’ confidence in your ability to make timely payments. A healthy credit score will also make it easier for you to apply for a loan. Monitor your CIBIL scores regularly. Most banks do not offer 100 percent loan. The percentage may vary from bank to bank, so you will have to ascertain the down payment amount required before hand. Understand the home loan procedure thoroughly, the documents that are required, lock-in clauses, exit penalties if planning to foreclose your loan before the final year. “Not having too many credits like bike, personal or car loans, or large credit card balance, will demonstrate your ability to handle debts efficiently. Make sure you have resolved most of your existing debts since home loans will take a large portion of your salary”, shares, Rahul Nahar, Founder, Xrbia Developers Ltd.
Also, consider your capacity to repay your loan and examine the tenure closely. How long do you intend to pay? Sometime, a longer tenure may not always be helpful. If you have the capacity and the financial strength to pay off your home loan in a shorter tenure or foreclose it prior to the final year, then it is strongly recommended to do so. Factor the total costs: There are instances when there are multiple costs associated with property purchase. When making the down payment, it is important to know about all the additional costs. Do a thorough check on the taxes that you have to pay, the advance parking charges, initial maintenance charges, and club house membership, etc.